Like much of pre-19th Century Chicago, Ravenswood (once part of Lakeview Township) was inhabited by various Native American tribes. Modern day Clark street was once an important trail, named Green Bay Trail, that led to Green Bay, Wisconsin. By the mid-1800s, Chicago was growing and the population was booming. Real estate planners sought ways to make a buck while offering residents an escape fro the hustle and bustle of the city. Many of our city’s neighborhoods developed in this fashion, and Ravenswood—which was to become the home to Chicago brewery Band of Bohemia—was a first of its kind. In 1868, a group of developers purchased nearly 200 acres of land just 8 miles north of Chicago. The main goal of the Ravenswood Land Company was to create the city’s first high end and affluent suburb, providing a weekend getaway for wealthy Chicagoans. They created the Sunnyside Hotel, a resort like vacation spot located at Clark and Montrose to attract the masses. Knowing that the day trip via horse and carriage could be exhausting, the company collaborated with the newly founded Chicago & Northwestern Railroad to provide train service to the destination. By promising a certain number of ticket buying passengers, the railroad installed a convenient train stop at Lawrence Avenue. When this parcel of land was finally annexed to the city of Chicago in 1889, streetcar lines allowed the area to keep growing. And when the ‘L’ was extended in the early 1900s, it made it more accessible to all demographics and allowed the district to flourish. Perhaps taking a cue from the neighborhood’s past, Band of Bohemia offers a taste of what came before. 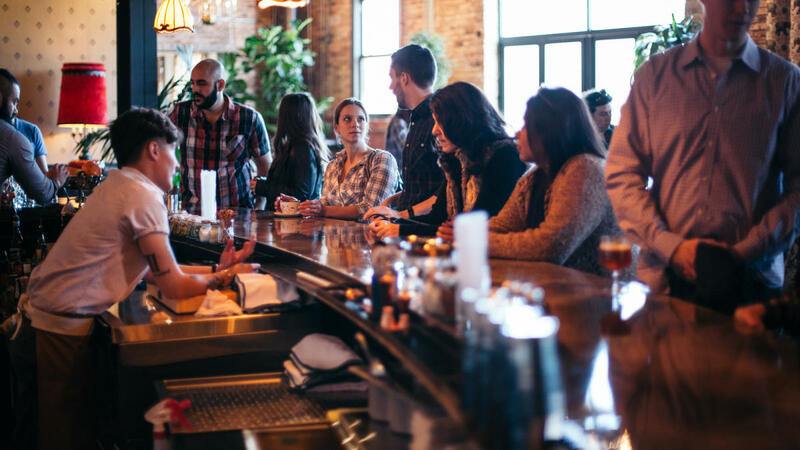 Today, hop aboard the Metra North Line train, exit at Lawrence, and pop into the culinary brewhouse for a unique experience. Wanting to create a restaurant focused brewery, co-founders Michael Carroll and Craig Sindelar took a different approach to their space. 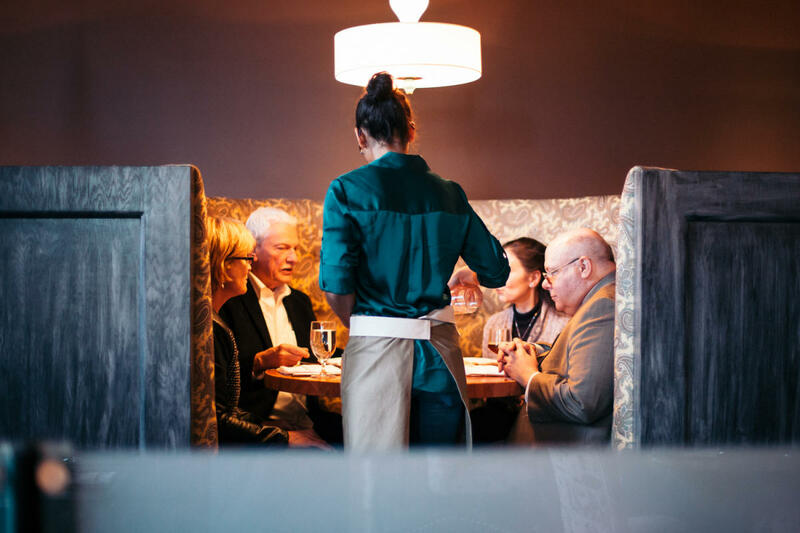 Inspired by their time at Alinea (Michael was their baker and Craig was their head sommelier and floor manager for 11 years), the duo set off to create a local, neighborhood restaurant with a high end feel. They worked for some time to transform the former cookie factory into a sophisticated and chic space that was also warm and welcoming. The artisans, the collective, the bohemians who make up the band, provide you with an array of delectable treats that go beyond beer. The beer that Michael brews uses an array of interesting ingredients and has unique flavor profiles found nowhere else. Here, the food menu pairs with the beer and not the other way around. With an experienced sommelier at the helm, Craig’s wine list never disappoints. Inventive cocktails rule the roost too. When you see a coffee and tea “program”, you know to expect something different. 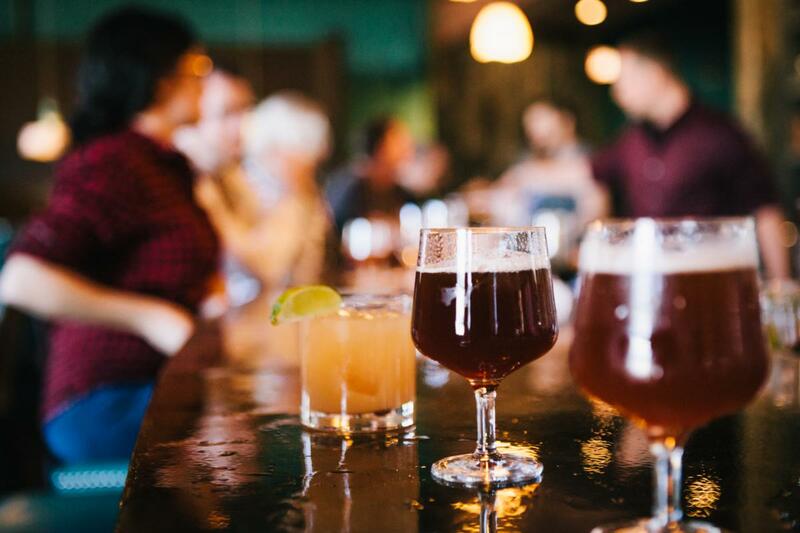 The fact that Band of Bohemia is the country’s first and only Michelin rated brewpub in the country should give you an indication of the food and beverage to expect. But perhaps my favorite part of Band of Bohemia is that, while high end dining is a focus, it’s a space for anyone. Show up pre-Ravinia show, wearing a t-shirt and jeans and have a beer while you spin vinyl in the front parlor. Or dress on up, enjoy a fine glass of wine or a creative cocktail and celebrate a special occasion in the expansive and beautiful dining room. A little bit of everything for everyone, that’s Chicago. For more on Chicago breweries, check out the list of Chicago beer fests and tasting events on the calendar. Making its debut this year was the new tasting series Friday Night Flights, popping up all around Chicago neighborhoods and downtown—including Ravenswood! See the schedule for more dates.